A series of murders in New York City has stymied the police and FBI alike, and they suspect the culprit is a single killer sending an indecipherable message. But when the two federal agents assigned to the investigation are taken out, the FBI takes a more personal interest in the case. Special Agent Ty Grady is pulled out of undercover work after his case blows up in his face. He's cocky, abrasive, and indisputably the best at what he does. But when he's paired with Special Agent Zane Garrett, it's hate at first sight. Garrett is the perfect image of an agent: serious, sober, and focused, which makes their partnership a classic clich: total opposites, good cop-bad cop, the odd couple. They both know immediately that their partnership will pose more of an obstacle than the lack of evidence left by the murderer. Practically before their special assignment starts, the murderer strikes again this time at them. 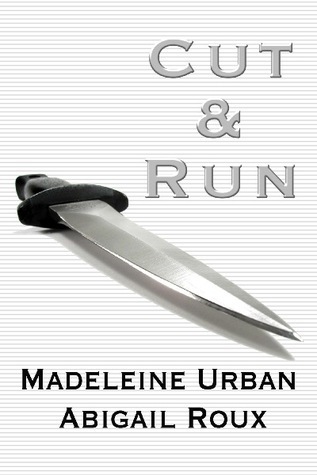 Now on the run, trying to track down a man who has focused on killing his pursuers, Grady and Garrett will have to figure out how to work together before they become two more notches in the murderer's knife. I’m a big crime/thriller/police procedural genre reader. I’d hoped that his book would mesh that love with my growing love for romance novels. And what I got was an interesting romance novel and a lack luster mystery. So, I knew the killer at Hello, but that is just me. I’ve read these types of novels from the best. In the end, I don’t think that was the real point of this novel or series. The point seems to be how these two clicked and came together. Characters – We’ve got two guys. I think they are both bi, but Zane didn’t seem so much bi as Ty did. Zane claimed to sleep with women, but I didn’t feel it. Anyway, for the most part I enjoyed the two. And let me confess, I didn’t enjoy Ty bottoming. It again, just didn’t feel right. However, I do think it added to his character development to let loose and give up control. Overall, it was a fun, cute, and predictable read. I will continue the series if nothing more to see where the author could possibly take it. It feels like we’ve had our HEA and I won’t be reading for the crime side of things. So my curiosity will have me reading at least the next one. My book boyfriend is TY.